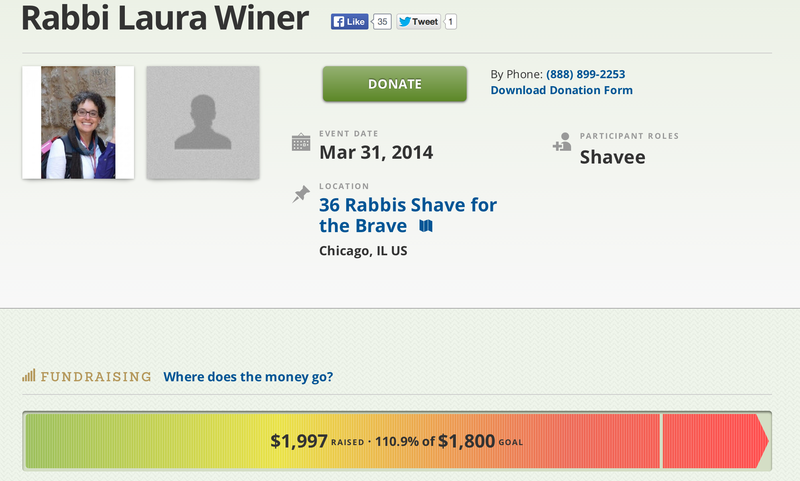 The St. Baldrick’s website says I have reached my goal. To help bring an end to cancer. To make sure that parents like Phyllis and Michael don’t have to go through what they did yesterday… and continue to live with for the rest of their lives. To put an end to the fear and pain that children like Sammy experienced. People have been asking me if I am going to change my goal. No. I’m not. Because even though you all have helped raise the dollars I wanted to raise – and I thank you very much for that! – we haven’t yet completed the work. It is not our obligation to complete the work, but nor are we free from doing it. I have 15 weeks until I shave my head. Will you help me get to 200% or even 300% of my fundraising goal? Only in that way will we be able to accomplish our real goals.